Leave the Legacy (Simple) VServer box unchecked to create a standard vserver that uses a global namespace. This checkbox supports an older vserver technology, which cannot support multiple core filers and cannot create a virtual namespace for clients. Most systems do not require simple (legacy) vservers. If you do need to create a vserver that uses the legacy technology, follow the instructions below for creating a legacy simple vserver. Click Next to create the new server. A message confirms that the vserver has been created. 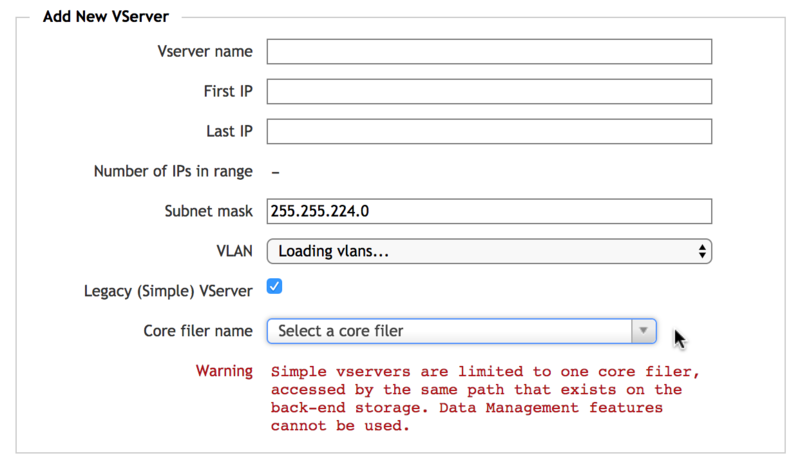 The Add New VServer utility might prompt you to customize more settings. The remaining settings also can be made from other Avere Control Panel pages. 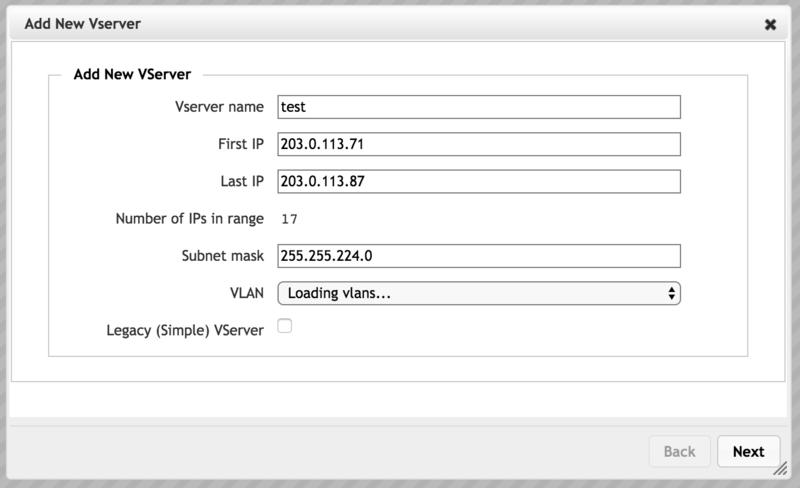 The Avere Control Panel might display alerts as the new vserver is added to the cluster. These alerts should resolve within a few minutes. 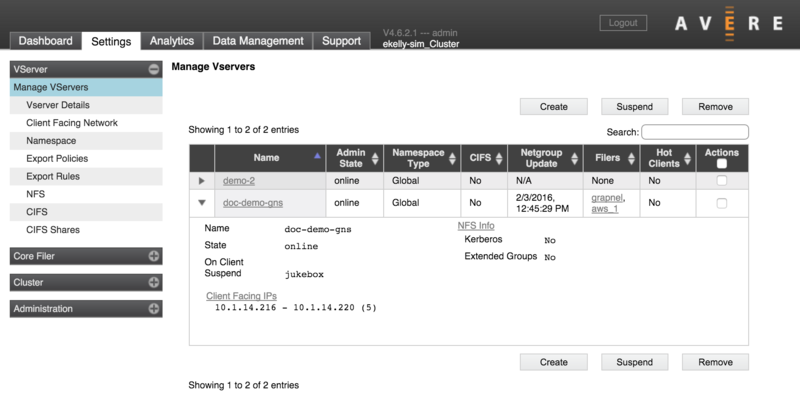 Most clusters do not include simple namespace vservers. If you are unsure whether or not you need one, contact Avere Global Services for more information. If you need to create a simple namespace vserver, follow the steps in this section instead of following the directions in step 4 above. The main difference between simple namespace and global namespace (GNS) vservers is how they represent back-end storage to clients. A simple namespace vserver handles requests for one core filer’s directories only, and shows clients the exact directory structure on the storage system. A GNS vserver handles requests in a client-side virtual namespace that is mapped to one or many core filers. Additional differences exist - for example, Avere OS’s data management features cannot be used with simple vservers. For the simple namespace option, you must specify the core filer. Select a core filer from the drop-down list. The core filer must be already defined in the system. Continue to step 5, above, to create the simple namespace vserver.